Great Britain's Jonny Brownlee wins the men's eliminator race at the Super League triathlon event in Singapore. The Super League Eliminator features three rounds of swim-bike-run, with 10 racers eliminated in the first round and five more in the second to leave a top 10 racing for the title in a final round. Who is competing in Singapore and who can win the Super League Triathlon? Jonny Brownlee has made the trip to Singapore as the sole male Great Britain representative. The 28-year-old started the weekend fourth in the overall Super League Triathlon standings and will be hoping for further success in the enduro to complete a successful weekend in Asia and claim an overall podium place. The top five in the overall male standings are all be competing and will be hoping to end the season on a high before the Elite Series Triathlon starts in March. Jodie Stimpson - who is currently fifth in the overall standings - is missing this weekend's event. Second and third place Kirsten Kasper and Rachel Klamer are also sitting out. American Katie Zaferes, who started the weekend with a massive 27-point lead, is expected to tie up the 2018/19 Super League Triathlon crown this weekend - especially after winning yesterday's eliminator. Lucy Hall is competing as the sole GB athlete. Temperatures in the mid-thirties are forecasted in Singapore across the weekend and Jonny Brownlee has been doing some warm weather training at home in Leeds in preparation for the conditions. Brownlee said: "I'm not very good in the heat, as people have seen before. "At home I've got a conservatory, which I have converted into a heat chamber. I've put a heater in there - I can get it to 30 to 35 degrees. Hopefully by the time I get to Singapore, I'll be ready for the heat." 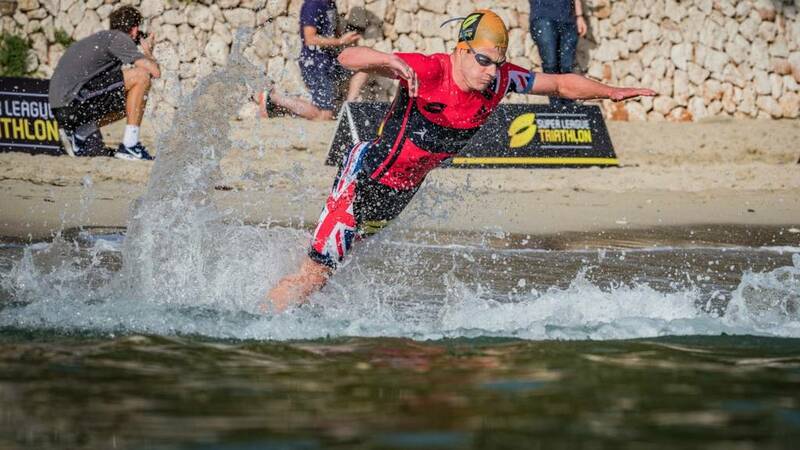 Relieve the iconic moment when Jonny's brother Alistair helped him over the line in a dramatic end to the Triathlon World Series in Mexico back in 2016. The enduro is considered the most brutal format of all. Requiring endurance and tactics, the enduro is a non-stop burst of swim-bike-run-swim-bike-run-swim-bike-run without any break. The added element of speed is tied into the race demands of the enduro, with the two slowest athletes at the end of each discipline being eliminated immediately. The winner is the first athlete across the finish line upon completion of the entire race sequence. How can I watch the Super League Triathlon?